If you are lucky enough to draw a desert sheep tag in Colorado units S56 or S62, we can set you up with a trusted outfitter that will put you on a great ram. 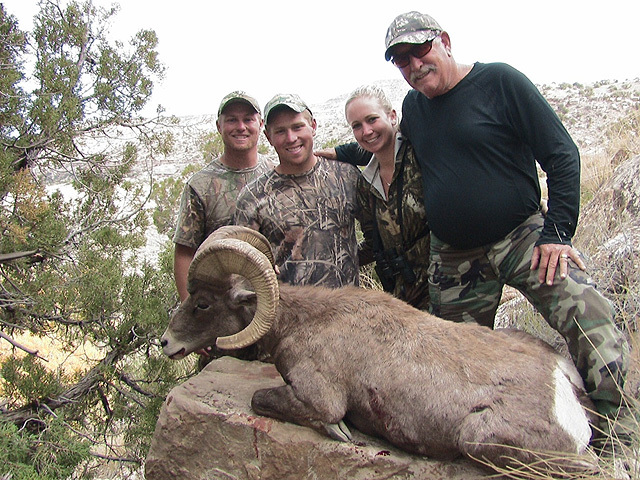 Prior to your hunt, rams will be pre-scouted so when the season opens, you are hunting a specific ram. Hunts are scheduled for 7 days but are not expected to last that long - past clients have harvested their rams early in the hunt. 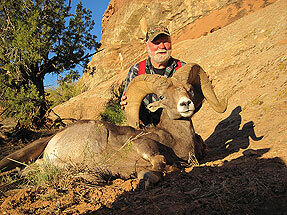 The ram from this hunt in 2010 scored 169 B&C. 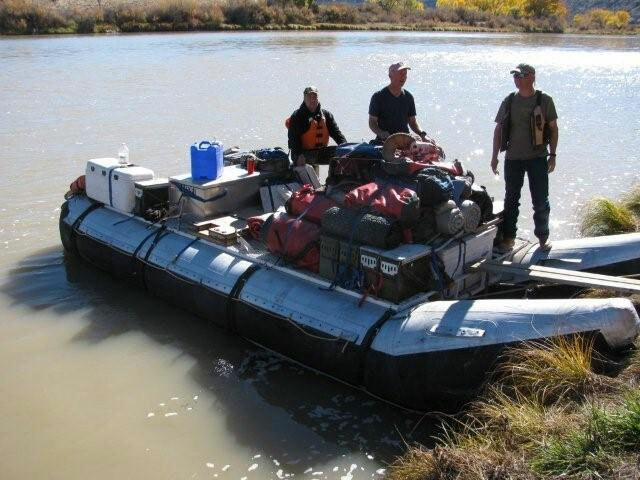 In most instances, a river boat will be used as the mode of transportation and camp will be a riverside tent camp or a local motel. The Colorado River will be traveled in S56 and the Gunnison River in S62. A wilderness tent camp will be the other option. 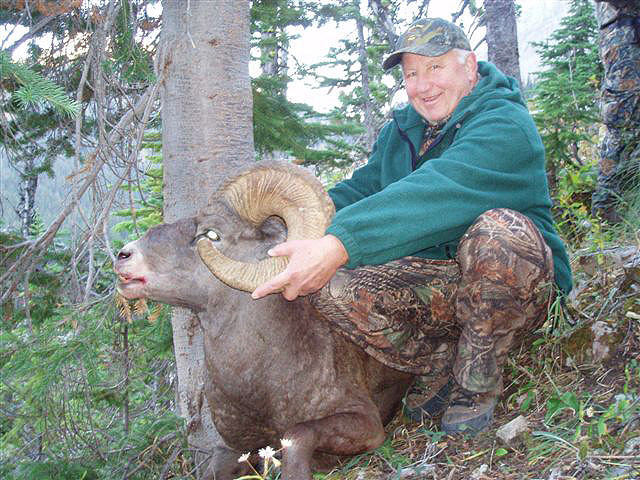 The camp location will be determined by where the biggest ram is located. 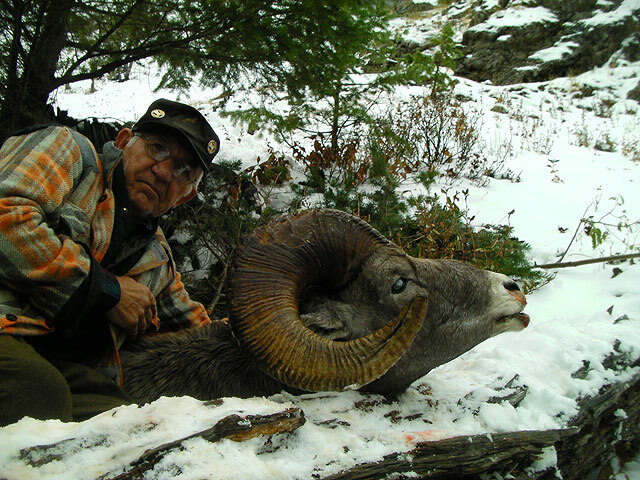 The hunt isn’t nearly as physical as a Rocky Mountain Bighorn hunt but hunters should be able to walk 2-4 miles a day. Includes 1×1 guiding, 1 observer, meals, tent camp lodging (if a motel is used, hunter pays for the motel), game retrieval, trophy care, pick-up and drop-off at Grand Junction airport. 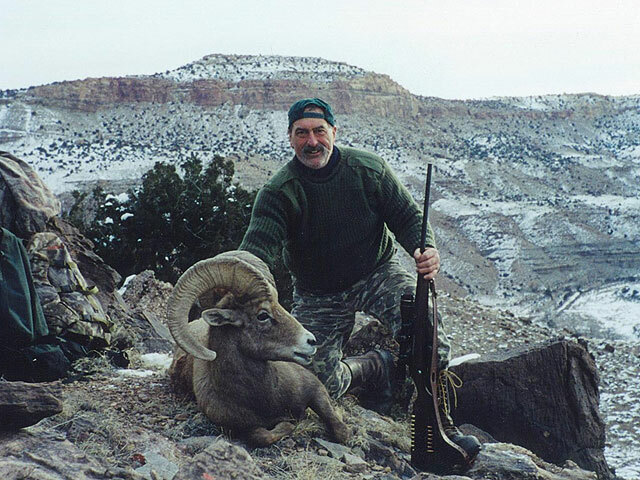 Is a bighorn ram on your targeted list? Are you tired of playing the application game and wondering if you’ll ever get drawn? Maybe it’s time to take matters into your own hands and book this hunt with a guaranteed tag. 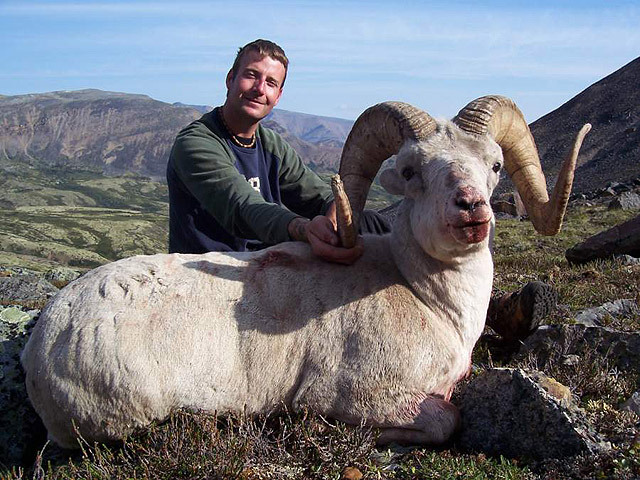 The outfitter takes one or two sheep hunters per year. 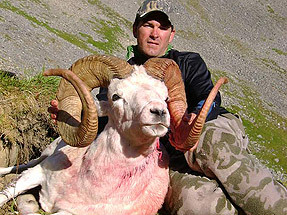 Hunters are expected to arrive in sheep shape and be prepared to tackle the mountains. Success or lack of it is often related to the conditioning of the client. There is also a lot of glassing. Horses may be used to access some backcountry. 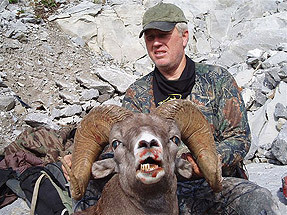 Two guides are reserved for each hunter to increase the odds a desirable ram is spotted and taken. 8 of the last 9 clients have filled their tags. 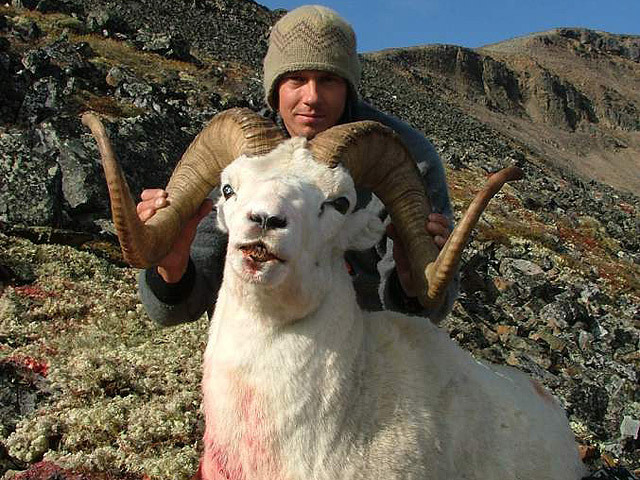 Rams typically score 160-175 B&C. Hunters can fly into Cranbrook,B.C. and be met at the airport or fly into Kalispel, MT., rent a vehicle and drive 2 ½ hours to meet the outfitter. Another option is to fly into Spokane, WA and drive to meet the outfitter. Airfare at Spokane is usually more affordable. Includes: meals, lodging, 2 guides per hunter, game retrieval and trophy care. Hunt trophy Dall sheep in the Mackenzie Mountains, Northwest Territories, Canada. Hunters arrive and depart Ft. Simpson, Northwest Territories via Yellowknife and Edmonton. The trips are 10 day backpack trips including one day each for arrival and departure - 8 days of actual hunting. Clients are transported via helicopters to the area they will hunt. The outfitter has nearly 10,000 square miles of wilderness to hunt. 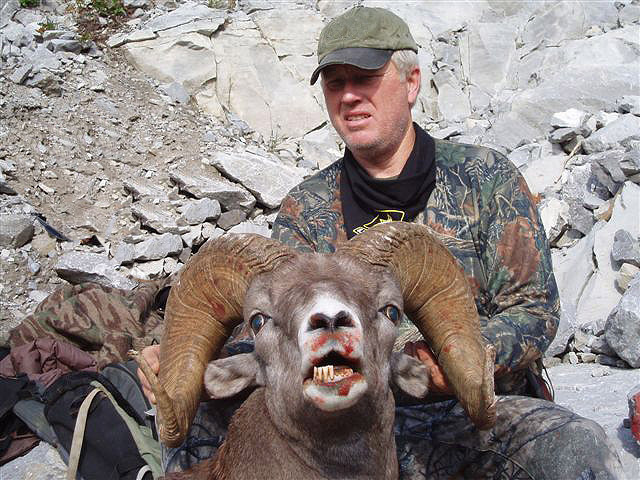 It’s not uncommon to see 20-30 rams in one hunt. Older age class rams are the goal with the average typically being 10-11 years. 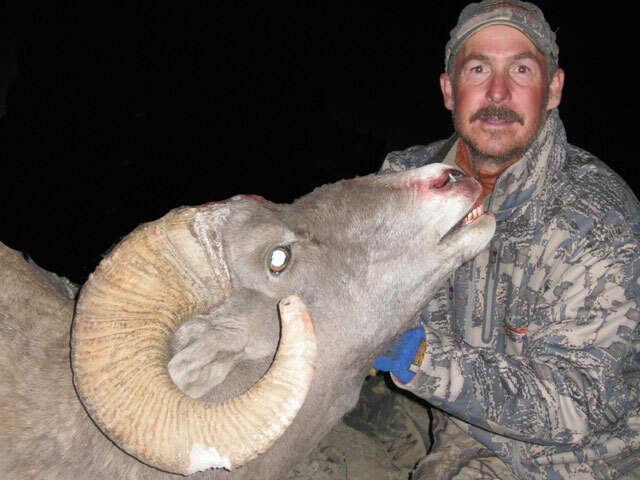 Harvested sheep average 36-37 inches with many 40 inch plus rams taken. Rifle hunters have had 100% success and archers average 50-60% success. These trips are mountain backpack trips that require clients to be in the best shape possible. Older clients have been taken successfully. Hunts are held from late July to early September. 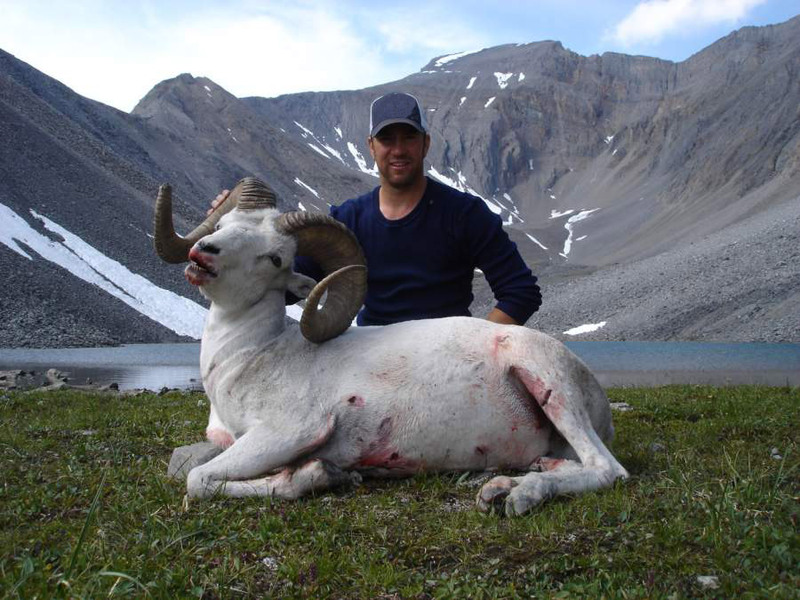 Depending on dates, mountain caribou and mountain goat can also be added after your sheep is down. Cost is $3500 for helicopter transport for caribou and then $3500 kill fee upon harvest. 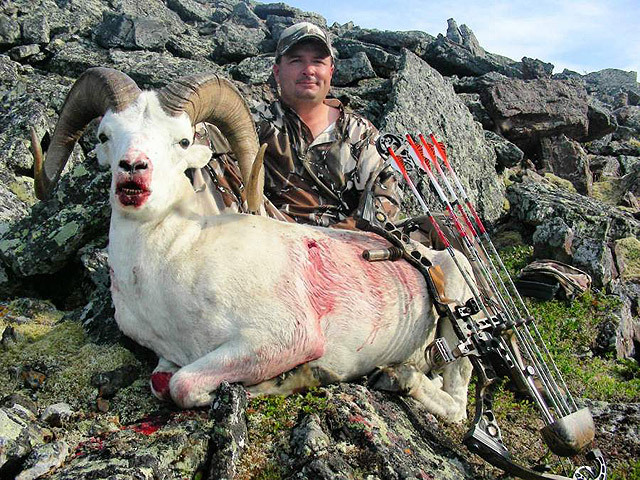 Good numbers of caribou and high scoring heads make this an excellent add-on hunt. Mountain goats are $4000 for transport and then $4000 upon harvest. Goat numbers are very good and harvested goats average 10 years old. Compared to many goat hunts, this one is considered “moderately physical”. Hunts are 1×1 guided. Two hunters may hunt from the same camp if they request to do so. Each hunter will have their own guide. 10 Day Hunt (8 hunting days) - $21,500. This is an all inclusive price including helicopter transport, license and taxes. Payment schedule is 30% initial deposit, 20% by Dec. 1 and balance due May 15 year of hunt. Wyoming is blessed with an abundance of sheep. It also has some very good sheep outfitters. 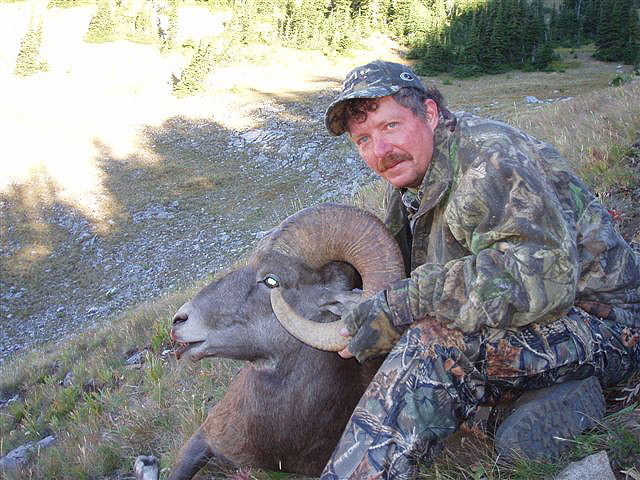 We are associated with several of Wyoming’s top sheep outfitters and can help you choose the one that is right for you. If you are fortunate enough to get drawn for a Wyoming sheep tag, contact us so we can discuss the type of hunt you are looking for as well as your expectations. 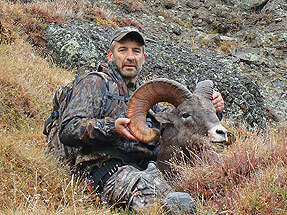 Hunts include: airport pick-up and drop-off, 1×1 guide, meals, wall tent lodging and trophy care.